This catalogue is always under review and more products and/or images will be added from time to time, as they become available. W&T Manufacturing (Birmigham) Ltd., and/or Scale Link Ltd own the copyright in all etched and cast items bearing the reference WT or SL displayed in this web-site and, no use may be made of these products for commercial purposes either in part or whole or in any other materials or form whatsoever without the written consent of the appropriate company. Any infringement of this copyright may be subject to legal action. Conversion Tables, Instructions, Foliage Pictures and General Notes. Our full range of paper catalogues and magazines, available to order on-line. Scenic, Figures, Vehicles, etc. in various scales. All available as easy to assemble White metal kits. 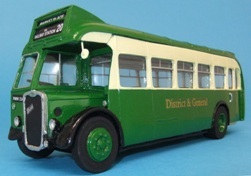 Model railway accessories including Light Commercials, Buses, Horse drawn and Steam vehicles. All produced in great detail to add realism to any model railway diorama. From Mikes Train House in the USA - Mini-catalogue available - see Hard-copy catalogues. These superb coaches are manufactured with ABS bodies, die-cast metal bogies, insulated metal wheels, interior lighting, sprung buffers, flexible corridor connectors and working screw-couplings. These superb coaches are manufactured with ABS bodies, die-cast metal bogies, metal wheels, interior lighting, sprung buffers, flexible corridor connectors and fitted, working buck-eye type coupling. ACE-compatible couplings are also provided. These are Scale Link whitemetal castings, hand-painted in Acrylics. The first of a new range of British Buses. Our bus and lorry kits, ready to place on the layout. 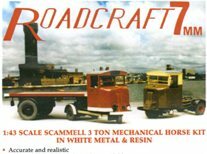 A selection of cars for the O-scale layout, from leading manufacturers. Ready built & painted as shown. A selection of lorries for the O-scale layout, from leading manufacturers. A selection of vehicles for the O-scale layout, from leading manufacturers. Both wheels are insulated - Turned brass, chemically blackened or ABS with nickel tyres. Suitable for current Hornby, Lima & Bachmann wheels. Approximate £=$= prices shown against each product. Save $$'s on US prices. The points are NOT DCC-friendly as supplied, but can be converted for DCC use. See W&T Manufacturing - Paccessories for de-isolating links. Suitable for some but not all current Hornby, Lima & Bachmann wheels. Save $$'s on US prices. This range is no longer stocked by Walthers. Although Walthers claim their DCC track is 'exclusive', this is the same product!! The points ARE DCC-friendly as supplied - no work required..
Code 70 is designed for FINE SCALE layouts & wheels. The UK POSTAL cost for 10 metres is £5.42 plus VAT. Standard postal rates do NOT apply. unless the track is cut down to 500mm lengths. This is Code 70 trackwork - 14mm gauge. 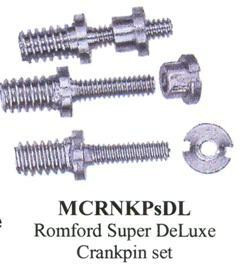 For rail-joiners see SDG341 nickel or SDG342 insulated. Code 70 rail for `N' gauge - 9mm gauge. Approximate £=$= prices shown against each product. A new range of etched and cast kits for the diorama. A new range of etched brass vehicles & rural features. First release of a new Scale Link/RTI range of commercials in 1:76 (00) scale. A kit of whitemetal & resin parts with transfers. Smiths fittings are a range of model railway kits and accessories designed to add authenticity to your lineside, stock or locomotives. Includes couplings, signs, load gauges, etc. Fret Size is 203mm x 73mm. Model kits depicting World War One including British, French, German, Belgian and American soldiers, their eqipment and many accessories from a Gramophone to a 60-pounder . Also Narrow Gauge railway and our ready painted 'March Past' soldier sets. For suitable Civilian figures see Preiser Section. Replacement has proved to be impossible and the range WILL be discontinued. The 'Lead Sled' range of World War Two scale models is produced in Dorset by Scale Link Ltd. These highly detailed miniatures are manufactured in 1:35 scale from top quality alloys and resins with etched Brass fittings where appropriate. Further models are being created and will be added to our catalogue as they become available. Complete & conversion kits in resin. 1:35 scale Resin moulded kits and conversion sets. The items are being made under licence. Complete & conversion kits in resin - Many from the original Masters Productions ranges. Only 10 references available due to failure of U-models to supply for over 18 months. Cast items from the Scale Model Accessories range, now produced by Scale Link Ltd.
Decals (Transfers) from the Scale Model Accessories range, now produced by Scale Link Ltd.
For Stencils, please see 'Stencilit' section. Etched items from the Scale Model Accessories range, now produced by Scale Link Ltd. Figures from the Scale Model Accessories range, now produced by Scale Link Ltd.
Vehicles from the Scale Model Accessories range, now produced by Scale Link Ltd. These fine detailed stencils may be used over again to add the finishing touches to your model. Produced in 0.005" Brass. Castings from the Scale Model Accessories range, now produced by Scale Link Ltd. For Stencils, please see 'Detailing' section. Decals (Transfers) from the Scale Model Accessories range, now produced by Scale Link Ltd. .
Etchings from the Scale Model Accessories range, now produced by Scale Link Ltd. Various, highly detailed figures in the 'Lead Sled' Range produced in 70mm and 90mm scale. 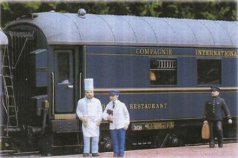 1:43 scale Model Railway figures & equipment. to a group of train-spotters can be found in this extensive range. A limited range of S&D/Phoenix figures, ready painted. See also the A. DUNCAN section. THIS RANGE IS BEING DISCONTINUED BY SCALE LINK. A small range of "Pre-war Hornby-style" figures on bases. These figures are supplied unpainted. All available in kit form, some available ready-built and paintd. Tous disponible en kit; quelques disponible pre-montee et peindre. All available in kit form - some available ready-built & painted. Tous disponible en kit - quelques disponible pre-montee et peindre. Etched brass kits for lineside and dioramas. PLEASE NOTE:- As we sell out of these products, we will NOT be re-socking them. Military Vehicle Kits, Armoured Trains, Airfield Accessories and Conversion Kits. NEW Post-war, Transfers, Amended layout. A large range of steam vehicle and classic car kits. These are made from high-quality whitemetal [pewter] and are virtually flash-free. Paints & Adhesives are NOT included. All supplied as unpainted mouldings.